Administrator of Our Lady of Mt. Carmel Parish, Providence. 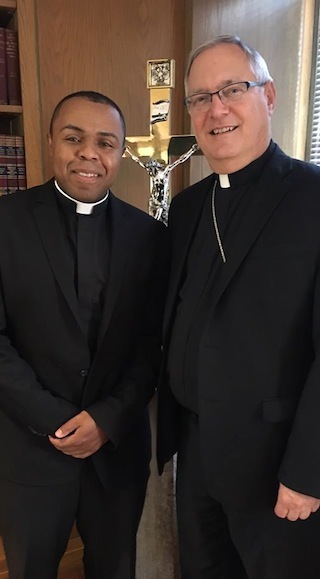 Reverend Francesco Francese, from Assistant Pastor, St. Francis Xavier Parish, East Providence, to Pastor, Holy Ghost and St. Mary Parishes, Providence, and Administrator, Our Lady of Mt. Carmel Parish, Providence. Reverend Jorge Rocha, newly ordained, to Parochial Vicar, St. Francis Xavier Parish, East Providence.